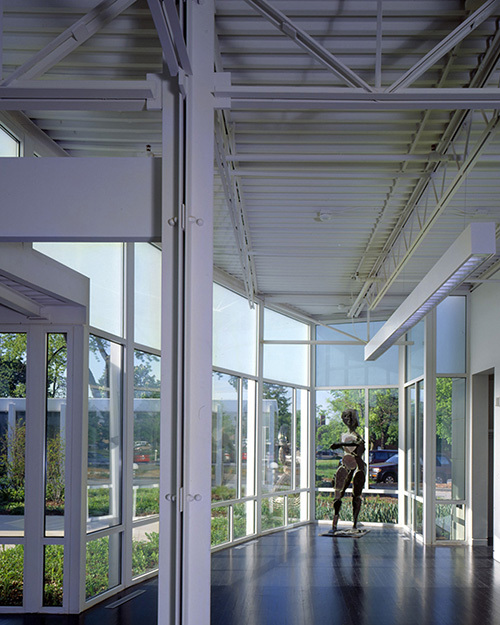 The design exemplifies an award-winning adaptive reuse project that melds the old with the new on a modest budget. 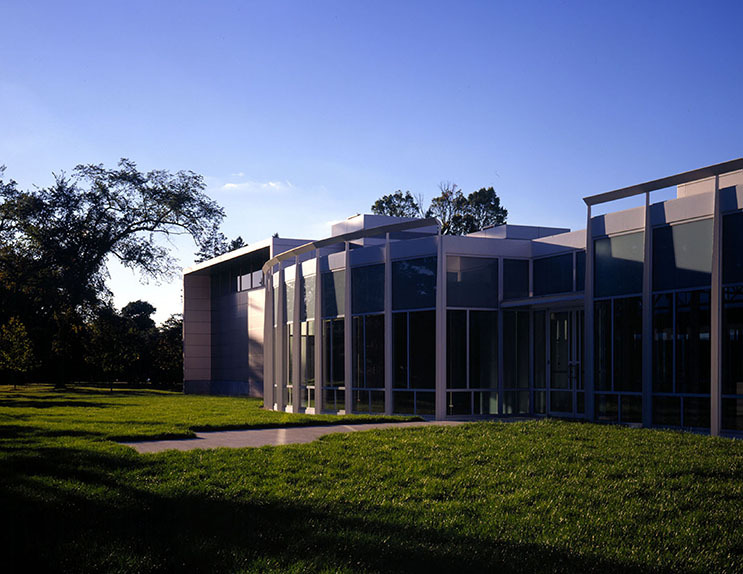 The Museum decided to design the new facility around Mies van der Rohe’s historic McCormick House (1951), which was purchased in 1991 and moved to the museum’s current parkland site. 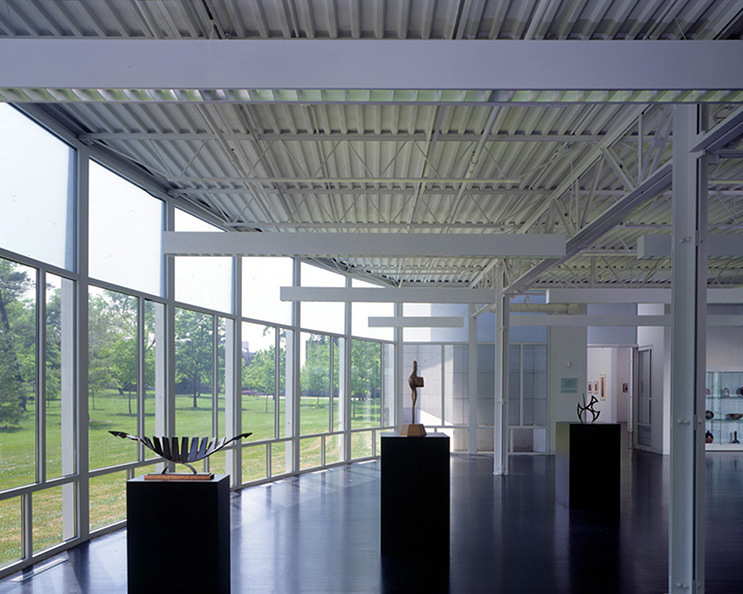 Using the Mies building as a formal point of departure, the design balances the domestic scale of the McCormick House and a contemporary character for the museum complex. 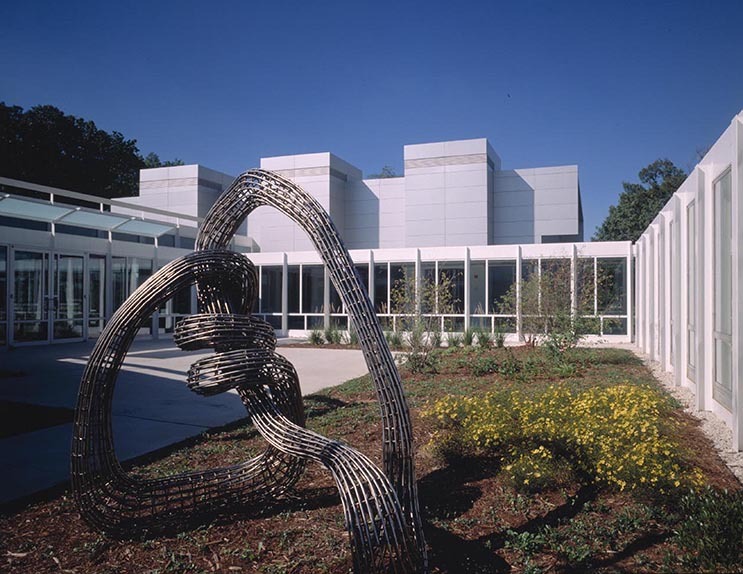 We organized the program as a series of three pavilions framing a courtyard: a gallery block, an education block and the renovated McCormick House. 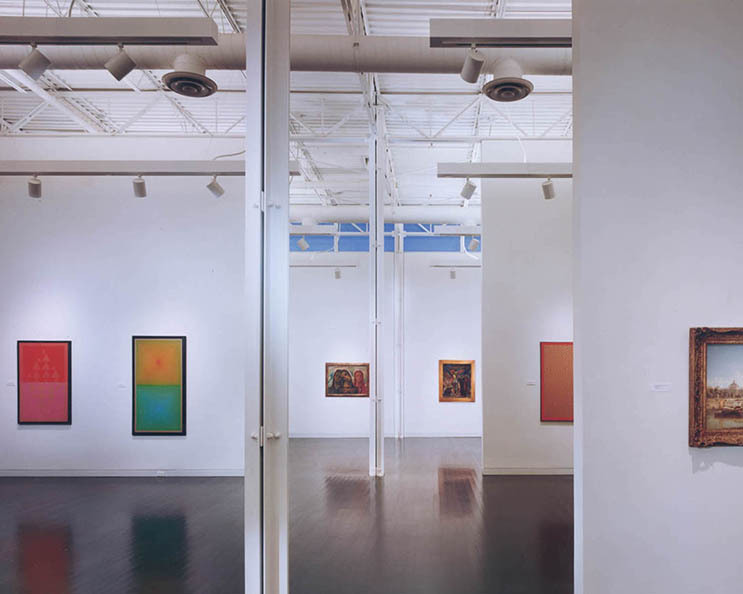 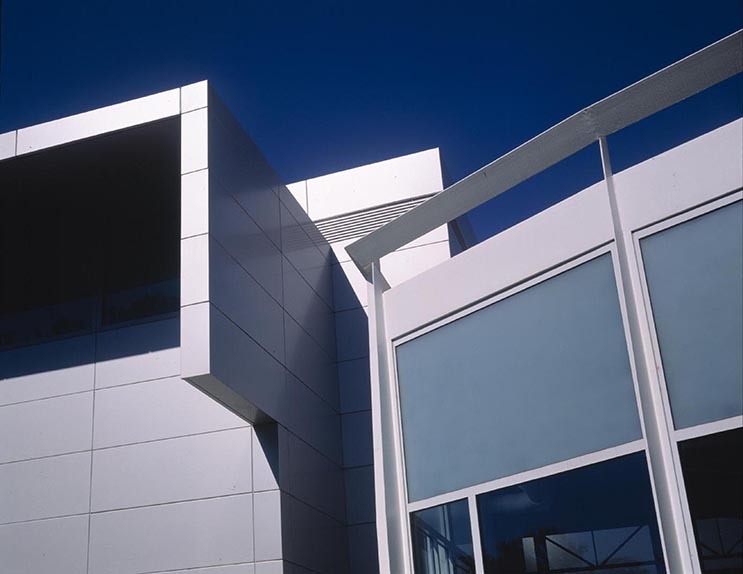 The frank expression of the structure and building systems resulted in a facility that met all program requirements, visually interpreted the creative mission of the cultural institution and eliminated costly finishes.